MONCTON, N.B. — Shawn Element scored 11:02 into overtime as the Baie-Comeau Drakkar edged the Moncton Wildcats 4-3 to take a 2-1 lead in their Quebec Major Junior Hockey League playoff series. Christopher Benoit, Ivan Chekhovich and Yaroslav Alexeyev scored in regulation for Baie-Comeau. Jeremy McKenna struck twice for the Wildcats, including the tying goal with 1:10 left in the third period. Adam Capannelli also scored. Drakkar goaltender Alex D'Orio made 34 saves. Moncton's Francois Leclerc stopped 34 shots. The Wildcats host Game 4 of the best-of-seven, first-round series on Wednesday. SYDNEY, N.S. — Kevin Mandolese stopped 26 shots as the Screaming Eagles blanked Charlottetown in Game 3. Egor Sokolov scored the lone goal at 16:26 of the second period for Cape Breton, which trails the series 2-1. Matthew Welsh made 22 saves for the Islanders. SHAWINIGAN, Que. — Samuel Harvey stopped all 22 shots he faced and Rouyn-Noranda beat the Cataractes to pull ahead 2-1 in their first-round series. Felix Bibeau, Noah Dobson, Joel Teasdale, Vincent Marleau and Ryan MacLellan scored for the Huskies. Justin Blanchette made 29 saves for Shawinigan. BOISBRIAND, Que. — Felix Robert scored two goals and set up another as Sherbrooke doubled up the Armada for a 2-1 lead in their playoff series. Samuel Poulin had a goal and two helpers for the Phoenix and Patrick Guay, Yann-Felix Lapointe and Bejamin Tardif supplied the rest of the offence. Tyler Hylland led Blainville-Boisbriand with two goals. Samuel Bolduc put away the other. 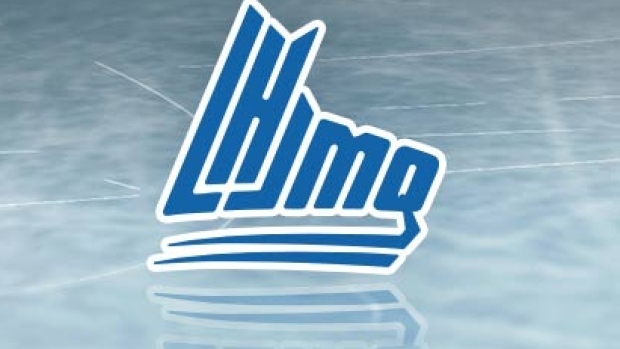 QUEBEC CITY — Raphael Lavoie scored twice and Halifax beat the Remparts in Game 3 for their first win of the series. Arnaud Durandeau also scored for the Mooseheads. Luke Kutkevicius had the lone goal for Quebec. VAL-D'OR, Que. — Marshall Lessard found the back of the net 13:59 into overtime as the Foreurs beat Victoriaville to trim their series deficit to 2-1. Yan Dion had the tying goal late in the game for Val-d'Or and Felix Boivin and Jeremy Michel also scored. Sean Larochelle, Anthony Poulin and Isaiah Gallo-Demetris replied for the Tigres. GATINEAU, Que. — Dawson Mercer scored twice to lift Drummondville over the Olympiques for a 3-0 lead in their first-round series. Xavier Simoneau, Jarrett Baker, Joseph Veleno, Nicolas Beaudin and Brandon Skubel supplied the rest of the Voltigeurs offence. Pier-Olivier Roy scored twice for Gatineau and Charles-Antoine Roy and Giordano Finoro had the other goals. CHICOUTIMI, Que. — Jeffrey Durocher scored the go-ahead goal late in the second period and Rimouski went on to beat the Sagueneens for a 3-0 lead in their playoff series. Alexis Lafreniere scored twice for the Oceanic, including the tying goal, and Jimmy Huntington also scored. Zachary Lavigne, Hendrix Lapierre and Gabriel Villeneuve supplied the offence for Chicoutimi.